Day 2 of the No Flaws, Only Human campaign. Beth Huss Secrist is a mental health counselor who specializes in maternal and infant mental health. She lives in Illinois with her husband and two young daughters, where she leads babywearing and gentle parenting groups. Western society is increasingly fractured and isolated, with a decreased sense of local community and shared care. The birth of a baby is often an overwhelming time for both parents, especially when also faced with the expectations and demands of a fast-paced culture that often judges people by their apparent productivity and appearance. It is no wonder that postnatal depression is on the rise - affecting at least 10-15% of new mothers (with many more sufferers never being recognised). Mothers are encouraged to put their babies down as much as possible and regain their old lives; babies are expected to learn independence as quickly as possible and stop relying on their parents for their every need. This approach to caring for children is very new in human history and runs counter to attachment theory, which suggests that the human infant thrives on responsive parenting and close contact. Many parents with PND feel a sense of dissociation and detachment from the child they want to love so much; and there are many things that can help with the feelings of despair. I do recommend speaking to your local healthcare professionals for help, and to draw on your local community for support; you may be surprised how many parents know how you feel. Oxytocin is a hormone that is closely related to bonding and attachment. It is released during labour and breastfeeding, and, crucially, during skin-to-skin contact and social interaction. It has an important role in encouraging nurturing feelings and a sense of belonging. Actions such as breastfeeding, skin to skin contact and carrying your baby close can all help to maintain the release of oxytocin, which is also thought to help reduce stress and anxiety. Babies who are in close contact with their parents have been shown to have a corresponding higher level of oxytocin than their non-carried counterparts; which subsequently helps to reduce baby’s own stress levels and improve their sense of secure attachment; their needs are met at the point of request. Modern life is fast-paced and for many, constant carrying of ever-growing children can be difficult to achieve, or uncomfortable after the travails of birth. This is where the practice of baby-wearing can be of great value. A soft sling that allows you to keep your child close to you, (thereby stimulating the release of oxytocin), and helps your baby to relax and sleep in secure comfort may make a huge difference to your life and your feelings. Many slings are extremely comfortable to use, and can be very practical indeed. It is possible to learn how to feed discreetly in a sling, allowing you more flexibility about being out of the house for the day with your baby. Slings give you and your baby the freedom to be on the move together, rather than feeling stuck; to go out into the world for a walk or go shopping without struggling with the complexities of a pram. Movement and exercise are vital to wellbeing; and using a sling safely can help your body recover from birth and become stronger. Slings can be beautiful and colour therapy can help to lift the mood. Learning a new skill can be therapeutic, and many parents find a great sense of community among other sling users both locally and online. This can help with feelings of isolation, especially if you have chosen to parent differently from your family or your peers. Babies need to be carried and they thrive when they are carried.. and their parents can benefit greatly too. If you are suffering from PND then it may be worth considering using a carrier; loving feelings often follow loving actions and your baby may turn out to be your best medicine. Rosie Knowles is a mom to two children, a renowned sling and carrier advocate and educator, and a General Practioner (doctor) in the United Kingdom. She runs the Sheffield Sling Surgery, which is both a babywearing education service and a lending library, and the Virtual Sling Surgery. You can access her work through various sources, including the website, the Facebook page, Instagram, Twitter or YouTube. Portage Babywearing Services was started by Brittney Pederson to help parents and caregivers practice safe babywearing while navigating the babywearing community. I love working with families to meet you where you are at and respond to your needs with support and kindness. Private and group sessions are available for the summer of 2018 and can be booked through registering here. Looking to buy a carrier in the Edmonton Area? 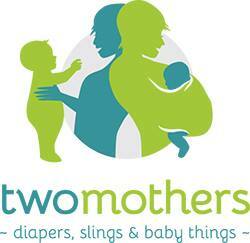 Visit Two Mothers for a wide selection of Quality products. For Safe, reliable and effective workouts with your baby, join us at Barre classes! Bounce Back Physical Therapy offers services in the clinic or in your own home and specializes in Pelvic Floor he.